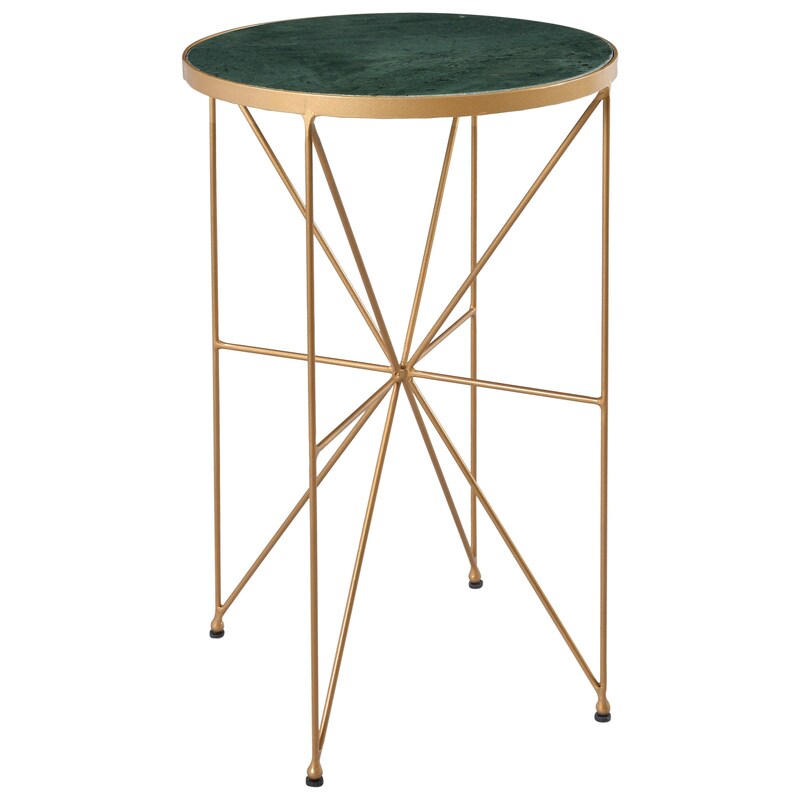 Thin metal rods have been artfully coated in a rich Hadin Powder Gold and joined together in such a way that they radiate from a central point, and rise up to encircle the lush green marble top on our striking accent table. From the round top to the multitude of triangular forms seen on the base, a visual feast from any point of view. The Ruby-Gordon Accents Accent Table at Ruby Gordon Home in the Rochester, Henrietta, Greece, Monroe County, New York area. Product availability may vary. Contact us for the most current availability on this product. The Ruby-Gordon Accents collection is a great option if you are looking for furniture in the Rochester, Henrietta, Greece, Monroe County, New York area. Browse other items in the Ruby-Gordon Accents collection from Ruby Gordon Home in the Rochester, Henrietta, Greece, Monroe County, New York area.